This cannot be better exemplified than to see it in a Hebrew translation of the Qur’an. Some explanation of the history behind the Hebrew translation of the Quran is needed. The first translation of the Qur’an into Hebrew was completed by a German Jew named Hermann Reckendorf in 1857. In 1936, a new translation by Joseph Joel Rivlin (Yosef Yo’el Rivlin) was published. Another translation, this one by Aharon Ben Shemesh, was released in 1971. The most recent was produced by Uri Rubin in 2005 and is published by Tel Aviv University Press. 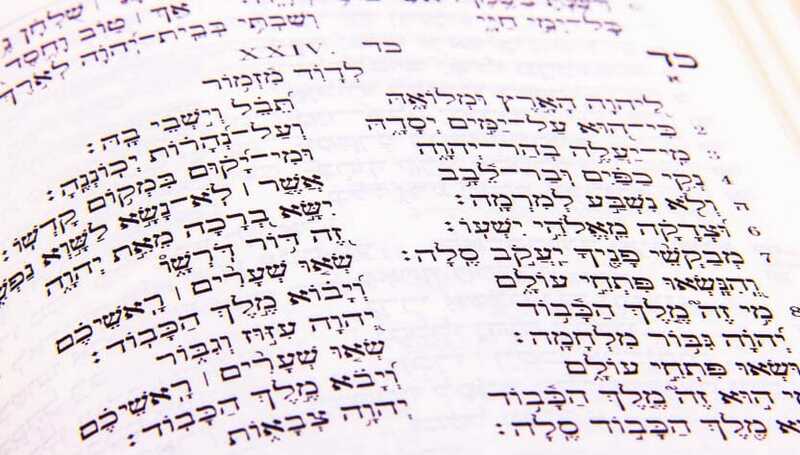 The following are some examples from the Hebrew translation of the Qur’an by Joseph Joel Rivlin, whereby the word “elohim” is consistently translated from the Arabic “allah” from the Qur’an in its original Arabic. 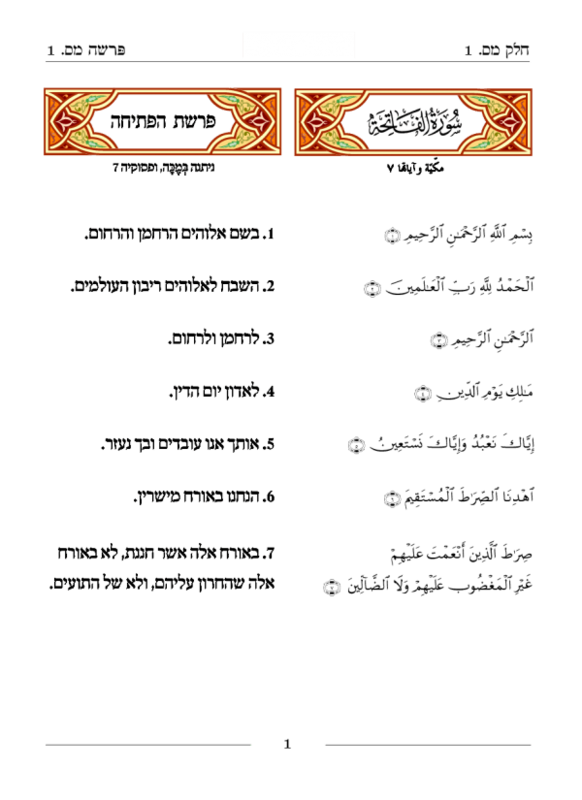 Apart from the example given above, we would like to present more examples from the Hebrew translation of the Qur’an, which uses the word Elohim and Eloh. Note that the Hebrew translation always renders Ilah and Allah as Eloh and Elohim, respectively. which translates into English as: “God! There is no god but He, the Living, the Self-Subsisting, Eternal”. This translates into English as: “There is no god but He: That is the witness of God, His angels, and those endued with knowledge, standing firm on justice. There is no god but He, The Exalted in Power, The Wise”. The similarities are so obvious that it can no longer be denied — in the face of this linguistic evidence — that Elohim is indeed related to the word Allah, as both Hebrew and Arabic are sister languages in the Semitic family. Much like how there are examples of Allah in the Arabic Bible, the above examples will demonstrate that there are no differences in meaning when “Allah” in Arabic and “Elohim” in Hebrew are used interchangeably. Insha’allah, the comparisons above will help quell the doubts of those who have been duped into believing that “Muslims worship a different god” by Christian missionary propaganda, and which some missionaries had even gone so far as to say that “Allah” is the name of a moon god.